A new boat side color has been added to the current list of 16 colors available. 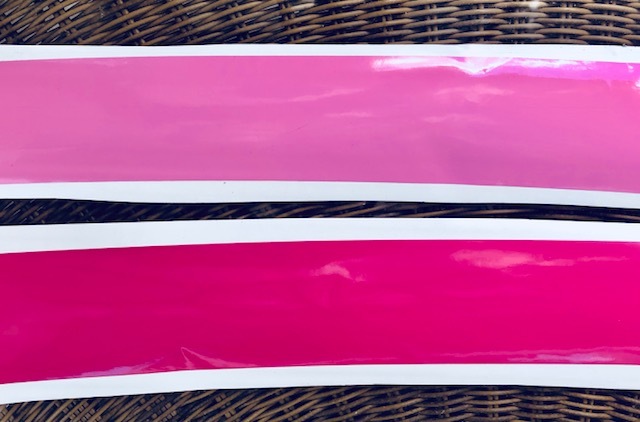 This new Hot Pink color will be a big help finding your boat when sailing in a large fleet of boats. All boat side colors are easy to apply and available on the Intensity Sails web site and the RC Laser Class web site. In the photo below, Pink is on top and Hot Pink is shown below.